Indoor track season starts soon! 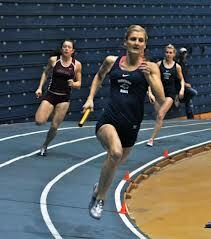 For me, an indoor and spring track coach, the indoor track season starts in 24 days. The pressure and excitement are starting to build. I feel very good about my preparation for the upcoming season, as well as the upgrades I’m making to my programs. With the season upon us, here are some suggested resources that will help you have your best season yet. If you’re a relatively new track coach, you coach a large group of young athletes with a wide range of abilities, you don’t have a lot of space to train and/or you’re looking for new ideas to get more out of your high school aged sprinters, I recommend getting a copy of Complete Speed Training Volume 2. Yes, I created it. And it is the only sprints program that specifically caters to the unique demands of being a track coach at the high school level. Check it out, it’s good stuff. At the very least, go click on the link and find out the three specific reasons your sprinters don’t run faster. If you already have that or you believe you’re beyond high school programs, I recommend Marc Mangiacotti’s ‘How to Build the Perfect 100m Sprinter’. Count me among the track coaches who believe that all sprinters (and hurdlers and jumpers) should learn how to run the 100m. So every program should have some underlying current of 100m philosophy within in. If you have questions, Coach Mang will answer them. But what about the hurdles? Answer: November 15. This is a no brainer. Boo Schexnayder’s Horizontal Jumps Program. I know it’s indoors and only long jump applies here. But the whole program (plus all the individual DVDs) is on sale for the rest of the day today and it’s a great value. But if you’re only worried about your long jumpers, that DVD is excellent. And you should own it, especially if your long jumpers have a habit of fouling or getting no height off the board. Or face planting into the sand. I live in New England so I was tempted to throw the 600 into that category. Either way, Scott Christensen’s ‘Preparing the Elite Junior Middle Distance (800-1600) Runner’ is an excellent look at training high school middle distance runners. Scott is a high school coach, so he understands the demands of training that age group. And if you have questions about his program or yours, he’ll answer them. And that is something you should take advantage of. Those are some suggestions to get you going this season. Don’t be that track coach who runs the same program as last year! Well, you can. And that’s cool. I just don’t recommend it.